The Little Owl, just 22 cm in length, is in acute danger of extinction. Its main habitats are gardens, small orchards or meadows containing white willows. Depending on the season, it lives mainly on Insects such as Crickets, as well as Woodlice and Mice. It frequently fails to colonise an area because of the lack of suitable nesting sites. 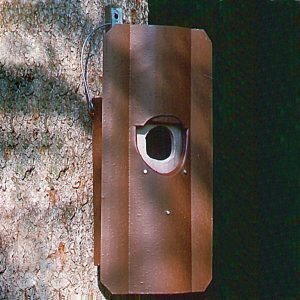 Help is now at hand with the SCHWEGLER Little Owl Boxes of which there are four different types. 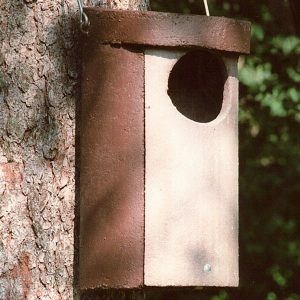 Ornithologists recommend always hanging a minimum of three boxes immediately adjacent to one another since the Birds will use one or more to store food and young Birds will use them as shelter. Such measures will considerably improve the survival prospects for this species. Bedding: Coarse sawdust or wood shavings and a mixture of sand and sawdust are ideal as bedding. 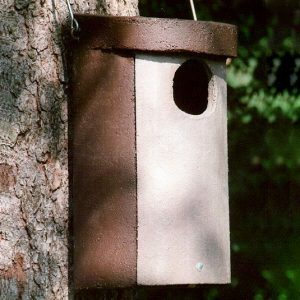 Each of the four Little Owl Boxes is supplied with detailed description and maintenance instructions, and the Aluminium Nails needed to attach it to a branch. 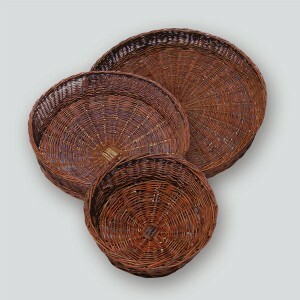 Material: All the boxes have an aperture for inspection and cleaning purposes. 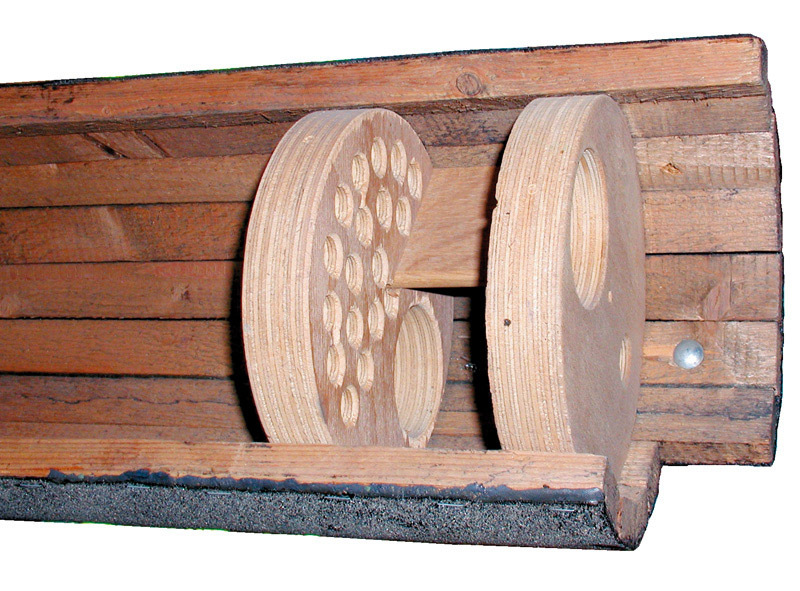 They are made of a ring of wood or wood-concrete (depending on the model) surrounded by wooden battens and roofing felt. Delivery: Together with flexible metal fixing strips and Aluminium Nails. 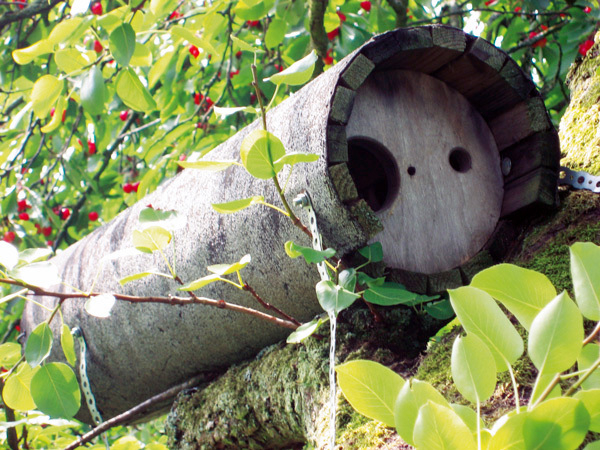 Assembly: The boxes should be placed on a horizontal branch of a fruit tree or in white willows, with the entrance hole facing the trunk. This discourages interference by passers-by and also makes it easier for the Birds to fly in and out. 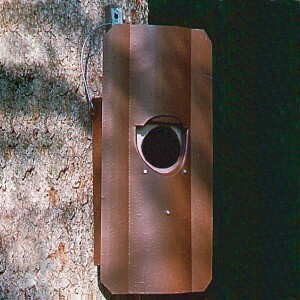 Little Owl Box with predator protection against Martens by two staggered internal entrance holes. Supplied with clamping band and Aluminium Nails for fixing onto horizontal branches. Inspection and cleaning through separate inspection flap on the opposite side of the entrance. External shape: round, as No. 20. 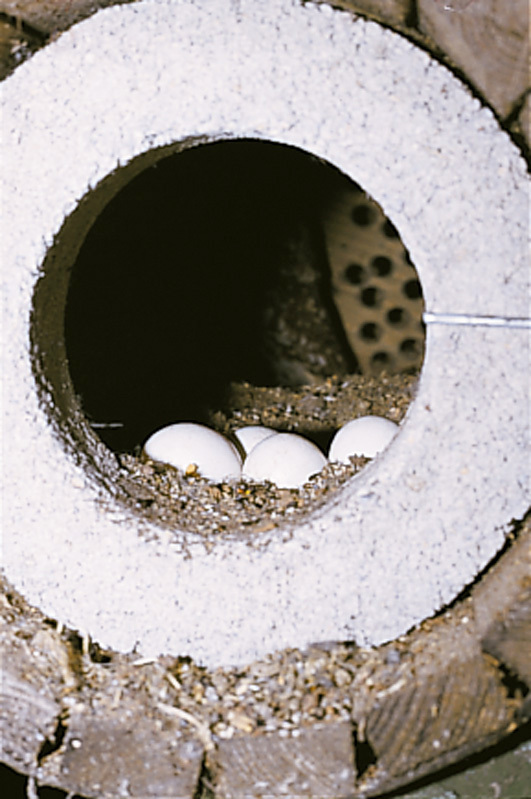 Interior of brood chamber: ∅ 18 cm. Width of entrance hole: ∅ 65 mm.